Have you ever had your hands full while trying to open your tailgate? If so, you’ll already realize that if you don’t hold it on the way down, you’ll be greeted with a big slam as your tailgate freefalls – until the cables catch it and jerk it to a hard stop. This not nice and easy on the cables or the mounting hardware of the gate. Fortunately, there is a way to fix this issue and have a nice and smooth opening tailgate, without you having to hold onto it all the way down. 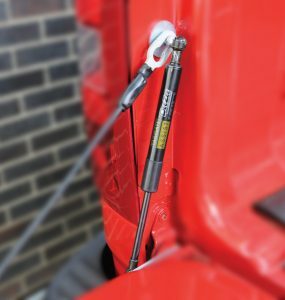 The answer to the dropping tailgate is a simple little hydraulic damper, or assist. These little shock absorbers (or struts) attach directly to the tailgate and bed, slowing the tailgate down for a nice and easy descent. There are a few manufacturers that make these tailgate dampers, and below I’ll go over the best options and deals for each of the different model trucks listed. If you are installing one of these assists yourself, you’ll find that it’s pretty straightforward for the most part, installation difficulty for most of these kits is about a 3-4 out of 10. 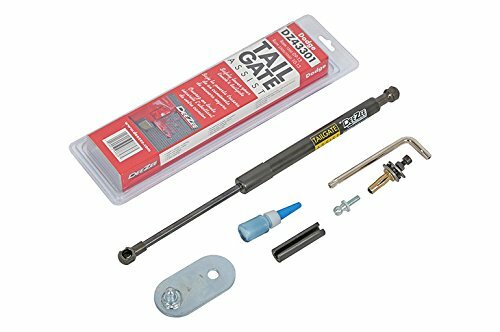 Without a doubt the best tailgate damper kit that you can get for the 2105, 2016 and 2017 Ford F-150 would be the one made by Ford. It’s designed to fit directly into factory mounting points, so no messing with aftermarket accessory fitment, which can be tricky in some cases. If you own a 2005-2014 F-150 then the best option for a tailgate damper is this retrofit model by DeeZee. 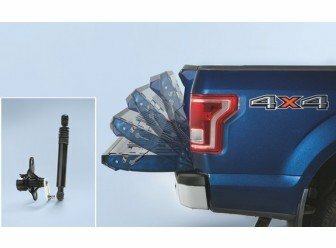 The kit comes with everything you need to add it to your truck, including the strut and all required hardware. Only one damper is needed, there’s no need for a second kit. This kit is the one designed for the 1999-2106 Ford Super Duty trucks. Just like the other kits from Dee Zee, this one includes all required hardware and installation instructions in the box. 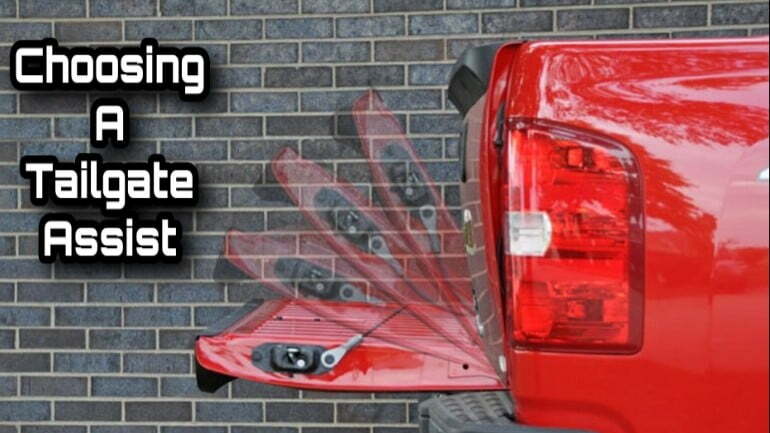 Dee Zee tailgate assist safely controls the drop of your truck's tailgate. Custom designed for each make and model. Works in conjunction with factory cables. Tested to handle heavy use with all mounting hardware included. Easy, no drill installation that installs in minutes. 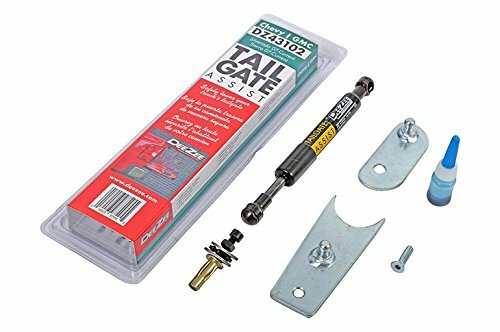 If you own a Ram 1500 from 2009-2017 or a Ram 2500 and 3500 from 2010-2017, then this is the tailgate assist made specifically for your truck. As always, DeeZee has provided a Dodge Ram specific all-in-one kit that includes everything you will need for am easy, complete install. In the more recent model years, the Chevy trucks have finally started to include a tailgate dampening system in the higher trim trucks like the SLE/SLT and LT/LTZ packages. However if you have an older truck or a base model, you were out of luck as far as having this installed from the factory. Thankfully, once again DeeZee steps up to the plate to offer their all-in-one kit for GM trucks. 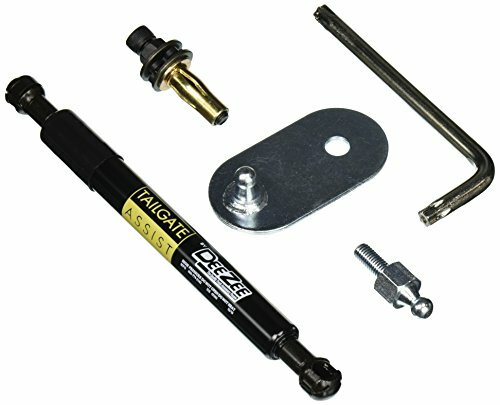 This is certified to fit the 2009-2017 1500/2500/3500 and is more of a universal kit that can be adapted to a lot of the Chevy/GMC platform tailgates. Safely Controls The Drop Rate Of A Tailgate. Custom Designed For Each Make And Model. Tested To Handle Heavy Use For The Truck Life. Works In Conjunction With Factory Cables. Easy No Drill Installation. Installs In Minutes. All Hardware Included. What do the truck owners have to say? DeeZee has made quite the good name for themselves in the truck accessories market, and you can see that in their reviews, which reflect a lot of praise for their products. Like anything aftermarket, there will always be a couple of hiccups in how the product fits initially or wears over time. This is standard for all aftermarket accessory manufacturers and doesn’t necessarily mean that the products are junk if they have a couple of issues across a wide range of models. What really matters is how the company handles feedback from their customers about issues that need resolving in the next iteration of the product, and also how they handle the current customers that have the issues in the first place. Below, you’ll see how they’ve dealt with the only real problem with the DeeZee assist kits and how they have resolved the issue going forward. The early versions of the Dee-Zee assist in particular did have a frustrating issue that has since been fixed. The issue is with the nutsert that they provided to install the strut with. The nutsert allows you to add threads to a bare hole in your tailgate that wasn’t originally designed to have threads in it. The problem is that the early version nutsert had a tendency to loosen up in the hole with the repeated rotation that the end of the strut subjects it to. Either the nutsert was just a little off in size, or didn’t have enough friction to hold itself in the tailgate. Good news is that Dee-Zee has realized the issue, and eliminated the nutsert problem for all the new versions of their kits, and has even been assisting previous customers in fixing the original version. Hopefully this overview and guide for the options available to add a tailgate assist have helped you in the search for the right kit for your truck. As always, feel free to reach out to us in the comments below if you have any questions or something to add to the conversation. Thanks for reading!